For the last fifteen years, I’ve been running, jumping and kettlebell swinging as a fitness instructor and personal trainer. My clients are my greatest inspiration. Every person is different, so I thrive on figuring out what makes people tick, sweat, eat some kale and then tick better. My goal is to change people’s relationship with exercise and healthy eating. We need to be lovers, not fighters. We need to find balance, not extremes. My results-based approach allows me to help people go from binge athletes and health gorgers to a healthy lifestyle that they can actually keep up with. I’ve taught everything from group strength, cycling and TRX classes to fat loss and resistance training programs—but with a passionate twist. With the right combination of science and motivation, I create personalized programs that get results. I don’t believe in quick fixes, I strive for sustainable results and I coach my clients the same way. After completing my Kinesiology degree at the University of Calgary in 2007, I launched Blast Fitness. I spent 9 years leading strength training classes and training my clients one-on-one in their home gyms. I knew I wanted to create a bigger impact in the lives of my clients, so I launched my first online training program, the Blast Fitness Coaching Club in 2014. It helps women to make the shift to a long term lifestyle of eating well and exercising regularly. The program has grown year over year and it is now my primary focus. 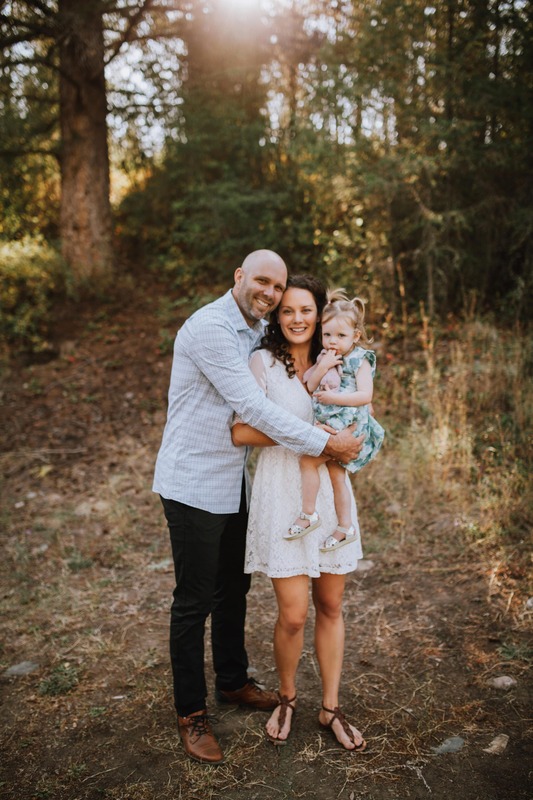 I now live in the mountains of British Columbia with my husband Manny, our daughter Sloane and our orange tabby cat Jax. We love our mountain town lifestyle with tons of active time outdoors, although traveling the world is a passion for both of us so we make time to explore new parts of the world each year. As an introvert I am a voracious reader, and love to strength train solo in our home gym. I consider myself an amateur chef and extremely beginner vegetable gardener, so recipe experimentation is a constant occurrence in our home. Create sustainable practices around exercise and eating well, so your results can weather vacations, crazy work schedules and the occasional dessert (that’s right, a life without dessert isn’t a life for me). Enjoy the process of changing our daily habits and recognizing that our results are not linear or predictable. At the end of the day, we’re only human—we don’t have a fit switch…that I know of. Recognize that knowing a lot about exercise and nutrition is important, but finding the motivation to apply that knowledge is even more important to long-term success. Eat local, whole and as close to the ground as possible. More hunter-gatherer less take-out orderer. Embrace the journey and own your own decisions and results! Personal responsibility is a major key for success. As part of my online group coaching program, the Blast Fitness Coaching Club which opens for registration January, May and September each year. With one on one online exercise and nutrition coaching. I’m currently fully booked with one on one clients, but you can send me an email to be alerted of my next opening for one on one online training. Email me here.